The James Webb Space Telescope, successor to Hubble, may be reaching the most critical juncture in its life: a vote by a U. S. Senate subcommittee on whether to fund it or not. The House version of the funding bill has the budget for JWST zeroed out. In other words, the House wants to kill it. The Senate has to vote on their version of the budget, and then the two chambers must reconcile the two versions. If the Senate votes to defund JWST, it’s essentially dead. The first version of that process may begin today. Here’s the thing: I don’t know how I feel about this. On the one hand, JWST promises huge, huge science. Every time we’ve built a bigger telescope with new capabilities, we’ve learned things we didn’t even know we didn’t know. Hubble did that in spades, and JWST’s mirror will be far larger — and it will be the most sensitive telescope in the infrared ever built, allowing us to see deeper and more clearly in that wavelength range than ever before. It has and will provide new advances in technology and engineering, and will be a workhorse for science, used by hundreds of researchers for years to come. It will, quite literally, be the Hubble of its age. On the other hand, cost overruns and mismanagement have been really bad (at the blog Starts With A Bang!, Ethan Siegel argues that this is both NASA’s fault and that of Congress, and I’m inclined to agree). A month or two ago I would’ve argued that this, though, was all behind us, and the cost to launch JWST would be small compared to canceling it. In fact, I did argue exactly this. However, things have changed. As I pointed out recently, an independent committee put together by Senator Barbara Mikluski found that the actual cost to launch JWST and run it for five years adds several billion dollars to the NASA estimate. Again, Ethan Siegel’s post describes this is all-too-painful detail, and the L. A. Times has an OpEd on this as well. And there’s the heart of the issue. If JWST gets the go-ahead, that money has to come from somewhere. Where? NASA’s budget is fixed, so as things stand now (more on this in a sec) that money must come from other sources inside NASA. And that means other missions will get their budgets cut so that the funding can go to JWST. 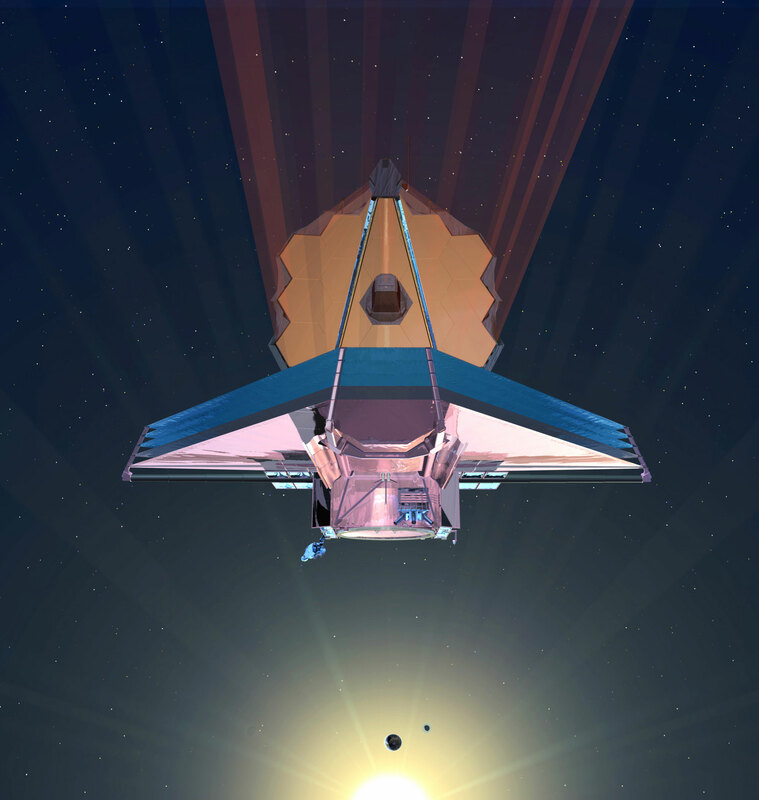 We believe it is time to have an open debate on JWST and its value across all targeted communities, from planetary, Earth science, and heliophysics to human spaceflight. Congress needs to be informed about the impact of the choices facing it. We individually and together reject the premise that JWST must be restored at all costs. Yikes. And it’s signed by a lot of top-notch scientists, including Alan Stern, Principal Investigator of the New Horizons probe on its way to Pluto, and former Associate Administrator for science at NASA. Alan also has a Facebook page where his misgivings about JWST are crystal clear. Clearly, these scientists are very concerned that planetary science will take a huge hit in funding to pay for JWST, and their carefully crafted mission structure for the next ten years may be scuttled. I have a hard time disagreeing with that assessment. The same could be said for NASA missions in astrophysics, solar physics, and other disciplines as well. So here we are. If the Senate cancels JWST, then we lose a huge opportunity to gain knowledge of our Universe, we’ll have wasted all the money currently spent, we’ll have most of a complete telescope sitting on ice somewhere, and NASA science will be in disarray (there are very few NASA astrophysics missions in the hopper right now). I’ll note that any money reserved for JWST will go away when it’s canceled, and not get relegated to other missions. If JWST is canceled, the benefit to other missions is that some future funding won’t be taken away from them to cover current and potential future JWST cost overruns. And you can see why I’m so torn. I’m an astrophysics guy, and I really want to see JWST built. But I do love the other disciplines as well, and my loyalty lies with none (I have friends on both sides of this issue, by the way). I want to see everyone get what they need, with no harm to any. Which leaves me with Solomon’s choice. Cut JWST, or save it? The way I see it, given the information I have, is that Congress must either fully and independently fund JWST, or cancel it. And by that I mean find the money outside of NASA so no current missions take that hit (in effect, increasing NASA’s budget, or at least not cutting it). If they do this, then JWST will get built and not hurt other missions. If they cut it, then other missions again won’t be hurt, but of course we lose JWST. The thing is, if Congress tries to compromise, JWST, NASA, and other missions could suffer mightily. We’ve seen it before: President Bush gave NASA an unfunded mandate to go back to the Moon and on to Mars, and the cost of developing a new rocket system drained a lot of funds. The Constellation program had to be canceled because of it, but the damage was already done. My choice, obviously, is to fully fund both JWST and the other missions, and get the money from outside NASA. There are many, many examples of places the government could find that money. Heck, in 2007 Congress lost — lost, as in it disappeared with no records — $12 billion dollars in cash in Iraq. That money would have paid for JWST in total and still have enough left over to send a half dozen fully-loaded rovers to Mars. Of course, there are a thousand other worthy ventures our government can and should invest in. But I think the future of science and space exploration is one of them (others agree, of course). It should be declared a national priority. But with this current Congress — and especially with so many rabidly antiscience Representatives sitting in the House — that’s unlikely. And given how they are willing to go after any money, no matter how small the amount, that goes against their agenda (think of how much time, effort, and rattling of sabers occurred over the NPR budget, which is at most 0.01% of the Federal budget), it seems to me that getting them to fully fund JWST is unlikely. I’ll also add that Congress has told all agencies to expect budget cuts practically across the board. So that’s a bit bleak. I note with interest that the head of the Senate subcommittee that will work on the budget is none other than Barbara Mikulski, who created the independent investigation of JWST. If the observatory gets funded and lives on, it will be controlled by the Space Telescope Science Institute at Johns Hopkins University in Baltimore, and by NASA’s Goddard Space Flight Center, in Greenbelt, Maryland… both of which are in her state. So if Congress doesn’t find that money, then we’re back to the killer decision: cut JWST or not. This whole thing is tearing me apart, and I just don’t know enough about the internal workings of NASA and Congress to know which way is best. That’s why I’ve laid out things here as I see them. There are smart people arguing strongly on both sides of this, and for that reason alone it’s worth thinking this through carefully. Again, my first choice is and has always been to have Congress fully fund JWST independently of other NASA missions. That is the best way to move forward, and serves the needs of this nation best as well. If we don’t do that, NASA science may be headed for disaster. And that’s what I’ll be telling my Senator. Below are links to various sites that give more information, including some that are clearly supporting JWST and some that are clearly against it (if you know of more, please leave a comment). I urge you to read them all, make up your mind, and if you so desire contact your Senator. The folks at JWST are holding a Town Hall-like webinar Monday, September 19 at 2:00 p.m. EDT to discuss these issues. A page by the American Astronomical Society from August 20, 2011 has advice on how to support JWST, and they have a followup note as well. Jeff Foust of the Space Review has written an overview of the situation. – Hubble’s successor, doomed or saved?